After all, Samsung's 4-4 rear camera phone is launched in India! Price less than expected! 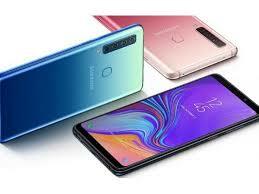 Samsung Galaxy A9 Details: Friends, the world's number one smartphone company and South Korea-based company, Samsung has launched its first four-four rear camera setup smartphone Galaxy A9 (2018) in India today. This smartphone is not only Samsung but also the world's first phone with a quad-camera. This phone was introduced in Kuala Lumpur last month. Going back, this awesome phone knocks in India. Samsung has kept the price of this phone quite attractive, which means that the price is much lower than expected. In Malaysia, this phone was launched in about 50 thousand rupees, but here in India, its price starts at just Rs 36,990. The price of 36,990 is 6GB of RAM variant of A9, while its Hire Variant, which is 8GB RAM, has been priced at Rs 39,990. This phone will definitely give a tough competition to OnePlus 6T. 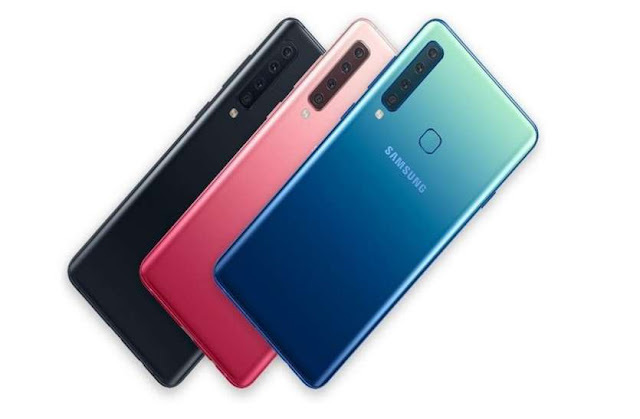 You can buy Samsung Galaxy A9 (2018) in Bubblegum Pink, Caviar Black and Lemonade Blue colours. This smartphone will be available for sale on almost all online platforms of India like Flipkart, Paytm Mall, Amazon, Airtel Store etc. from November 28. However, you can pre-book it from today if you wish. And if you pay with HDFC Bank's credit debit card then the cashback benefit of Rs 3,000 will also be given. Look at the specifications and features of the Samsung Galaxy A9 (2018), in this phone, you will find 6.3-inch Full HD + Super AMOLED Infinity Display 18.5: 9 Aspect ratio. This phone runs out-of-the-box on Android's Orio 8.0. The phone has been powered by Qualcomm's Snapdragon 660 Octa Core processor. Regarding the RAM and storage department, this Samsung phone is in two variants. With a 6GB of RAM and one 8GB RAM, although both variants have 128GB of internal storage. The Galaxy A9 has the facility of installing an external micro SD card in 2018, you can use up to the 512GB memory card. Now talking about the camera, the camera is the most special feature of this phone. Samsung has set up four rear cameras in this phone. The first camera is 24MP, the other is 10MP, the third is 8MP, and the fourth rear camera is 5MP. All rear cameras are vertically set up. The first camera from this is the 24MP primary camera, which is f / 1.7 with aperture. A 10MP telephoto camera, it supports 2X optical zoom. There is an 8MP ultra-wide angle camera and the last 5MP depth-sensing camera is. Samsung has provided 24MP single selfie camera with Face Unlock feature in front of this phone. The Samsung Galaxy A9 (2018) fingerprint sensor is set up in the backside of the phone. For connectivity, it has 4G Volte, wifi, GPS, A-GPS, USB Type C port, headphone jack etc. Other sensors such as an accelerometer, proximity, gyro, RGB light sensor, magnetometer, and ambient light are available with a fingerprint sensor. Samsung has given 3800mAh battery in this phone with fast charging support.